"KELME 14-8-19 m" double line on three 30 sk. 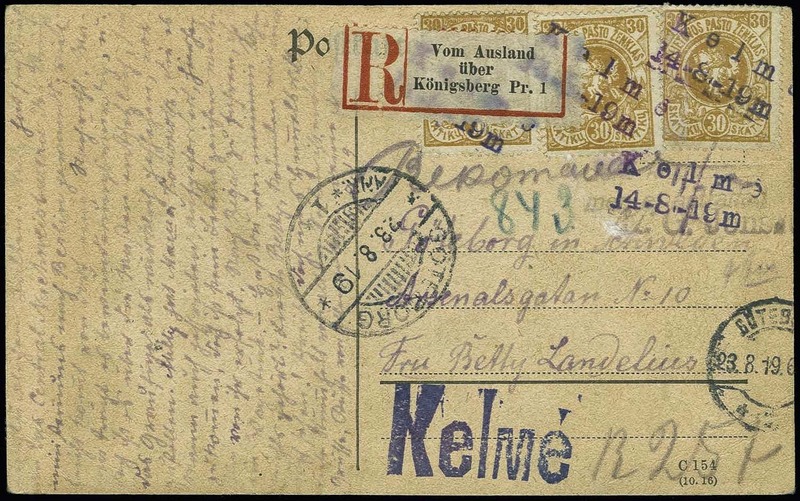 stamps on registered card to Göteborg, at bottom large straightline "Kelme" and "R 257" in manuscript, with german label "Vom Ausland über Königsberg Pr. 1", very fine.